Review for your upcoming real estate or mortgage exam with a live instructor, from the comfort of your home or office! You and the instructor schedule a time that works best for both of you, including nights, weekends, or even your lunch break! These sessions are intended for anyone in the United States who has already completed their state's required Real Estate Salesperson pre-licensing course and is now preparing to take the exam. Price: $75 per half hour of online tutoring. These sessions are intended for anyone in Massachusetts who has already completed the 40-hour Real Estate Salesperson pre-licensing course and is now preparing to take the exam. We'll be expanding our state-specific real estate tutoring to include more states; please visit us soon for updates. These sessions are intended for anyone in the United States who has already completed their state's required Mortgage Loan Originator pre-licensing course and is now preparing to take the exam. These sessions are intended for anyone in Massachusetts who has already completed the 20-hour Mortgage Loan Originator pre-licensing course and is now preparing to take the exam. 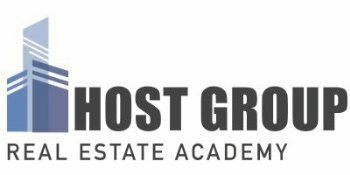 We'll be expanding our state-specific real estate broker tutoring sessions to include more states; come back soon for updates. These sessions are intended for anyone in the United States who has already completed their state's required Real Estate Broker pre-licensing course and is now preparing to take the exam. These sessions are intended for anyone in Massachusetts who has already completed the 40-hour Real Estate Broker pre-licensing course and is now preparing to take the exam.